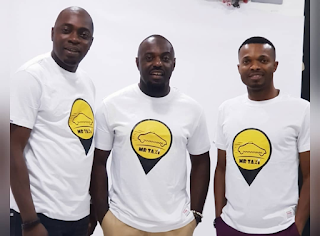 One of Nollywood's finest actors, Jim Iyke announced the launch of his new transport company, Mr. Taxi which is designed to deliver a luxury chauffeur service to potential customers. Jim made the announcement via his Instagram Page. The service will kick-off in the South-Eastern part of Nigeria with over 17 luxury saloon cars and over 54 privately-owned and registered vehicles, and gradually expand its operations to the South-South and further to other regions. According to Jim who is the CEO of the newly-launched coy, the new transport service will offer a new luxury, yet affordable experience to users. "On 5th October, we're proud to launch a platform that provides chauffeur services for the people of South East, Anambra, Imo, Enugu, Abia, Ebonyi states. This is just the beginning. Our goal is to expand the scope of operation to the South South in a matter of a few months after take off." "Download Mr. Taxi @officialmrtaxi_ and experience the full extent of our luxurious yet cheap and exceedingly convenient services. With over 17 luxurious sedans from our station alone and over 54 cars registered from other drivers (and growing rapidly), it is safe to say we're no longer a projection but a narrative of now, simply developed to offer you a far more comfortable, safer, travel experience." Nollywood personalities are expected to be in attendance on the said launch date.